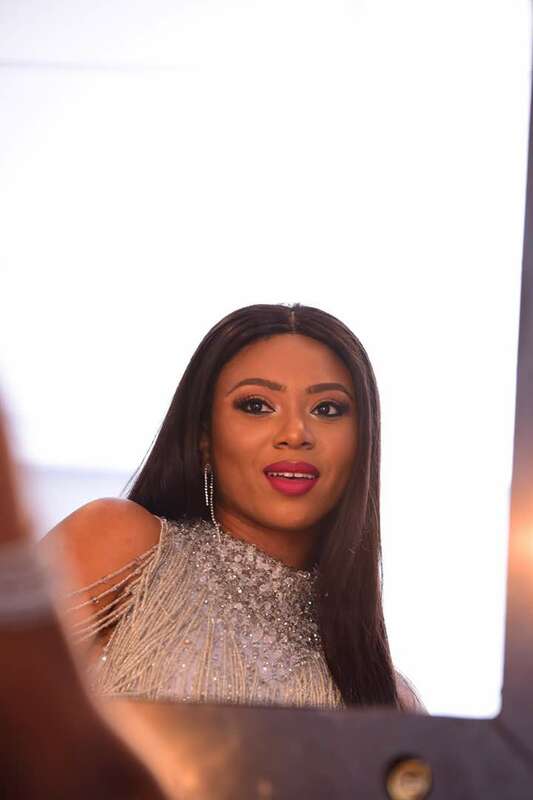 Remember that breath-taking dress Bonang Matheba wore for her 30th birthday? 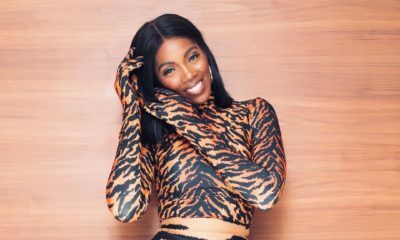 Well, the same designer Gert-Johan Coetzee had media It girl Stephanie Coker Aderinokun and Musical sensation Tiwa Savage dazzling at different events last weekend. 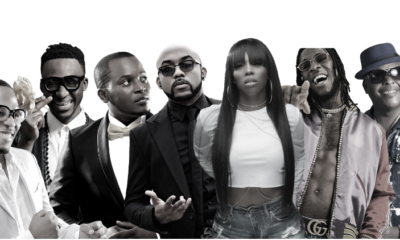 The pieces made by this South African designer have been rocked by a lot of notable celebrities including Toke Makinwa, Kourtney Kardashian, Kelly Rowland, Fantasia and lots more. 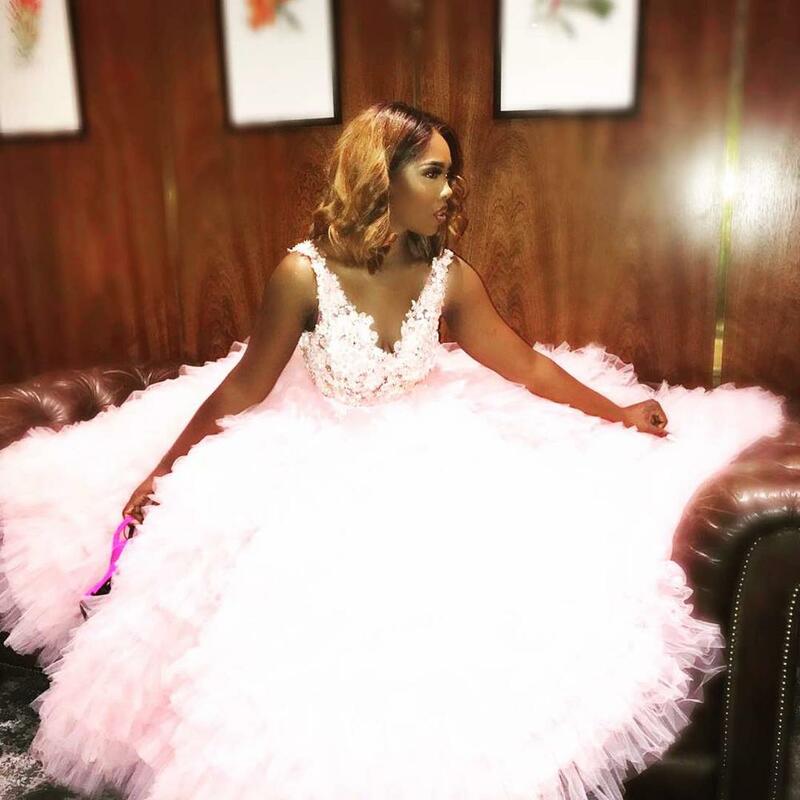 Tiwa Savage had a Cinderella moment at the Idols South Africa show on Sunday beautifully styled by Kizaster in a pink custom-made frothy dress. Her hair was laid and makeup onpoint! Done by Chyna Bee and Joyce Jacob Beauty respectively. Twice the charm! 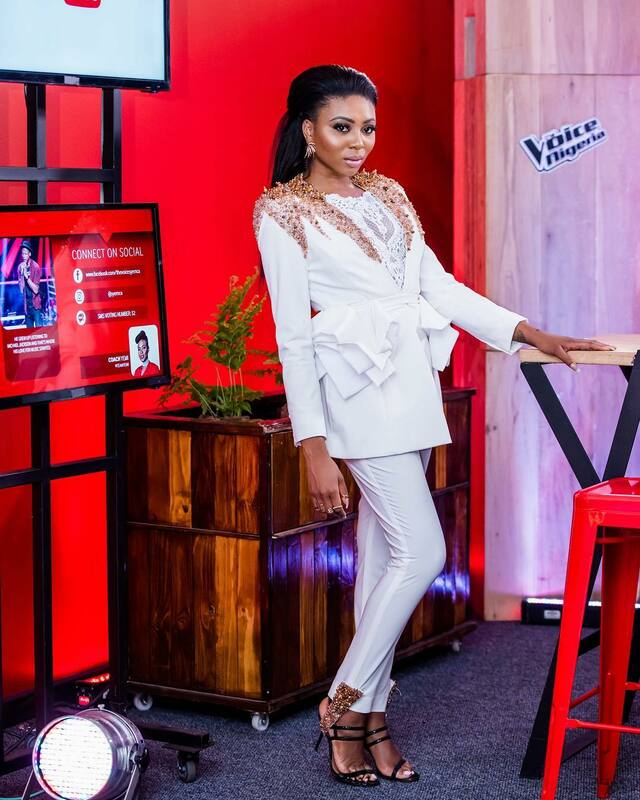 Stephanie Coker stunned in not one but two Gert-Johan Coetzee’s custom pieces for her hosting duties on The Voice recently. Two Sundays ago the screen diva shone brightly in a custom white pant suit with gold embellishments. Perfectly complimented with black sling back sandals and gold earrings. She sashayed in a silver frill dress for last weekend’s show looking like a modern showgirl! 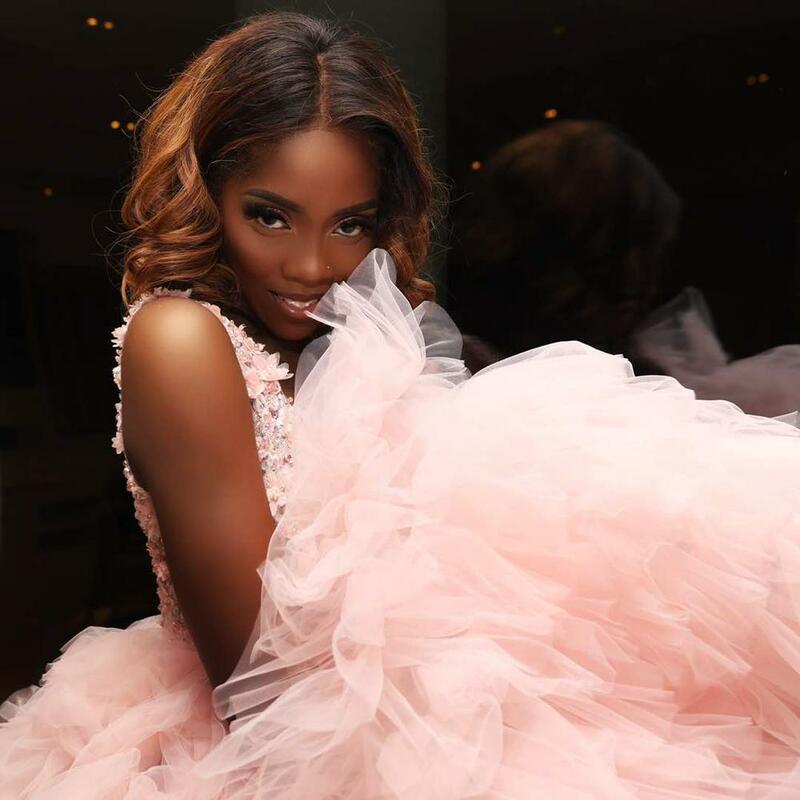 She wore an easy facebeat with a pop of pink on the lips done by makeup artist Tolani. There is nothing attractive about these women. Between the caked on make up, the weave, unflattering bodies, it takes away from the beautiful clothing. They make the clothes look like costumes not couture. 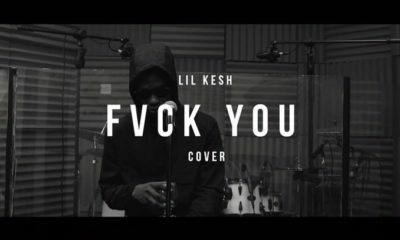 SA designers, steer clear of these Nigerian monsters.